AMD recently revealed the complete lineup of RX branded Radeon graphics cards and I published benchmarks for the RX 470 singe and crossfire configurations. Naturally, its now time for me to do the same with the Radeon RX 460 graphics card which will be based on the Polaris 11 GPU. The Polaris 11 GPU is basically the Polaris 10 cut in half, and has been associated with the machine IDs: 67EF:C3 and 67FF:08, both of which were used to trace the benchmarks in the 3DMark 11 database. Although I have already mentioned this in my previous post, I think its probably wise to point it out here again. The benchmarks were found by tracing the machine IDs of the RX 460. This means that these GPUs were part of AMD’s internal testing and were probably tested with partial driver support. While I didn’t notice a lot of variation unlike the RX 470, it is still possible that these numbers will improve once driver support for the RX 400 series lineup improves. While its older siblings, the RX 480 and RX 470 were both aimed at the minimum VR spec, the RX 460 is a no-nonsense budget gaming card. 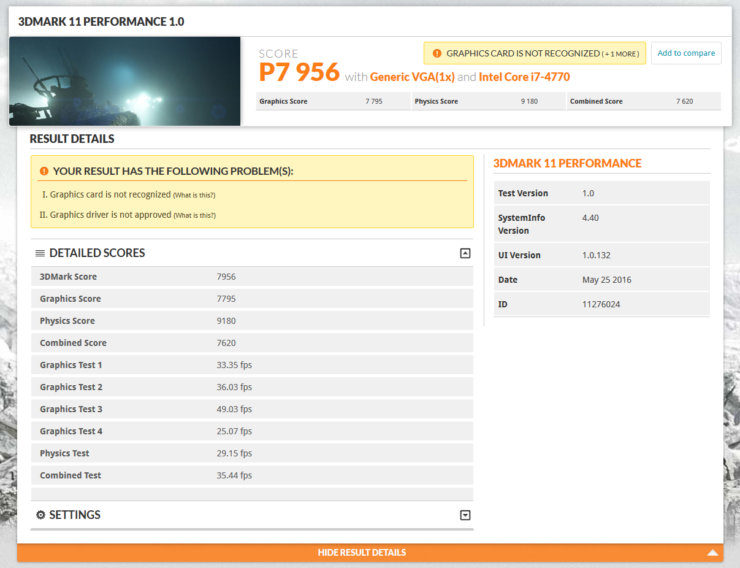 The graphics score of the RX 460 graphics card ranges between 7000 points to 8000 points on the 3DMark 11 benchmark. This is roughly half of what the RX 470 is capable off (~13500 points) – which makes perfect sense, considering the Polaris 11 GPU is exactly half of Polaris 10 PRO. At this performance level, while you are not getting a VR ready graphics card, you will have enough power to run most games at 1080p resolution at reasonable settings. Gone are the days when budget gaming meant a down right horrible gaming experience. When we say the RX 460 is a budget gaming card, we mean exactly that, and not some sad excuse of silicon only capable of HTPC tasks. 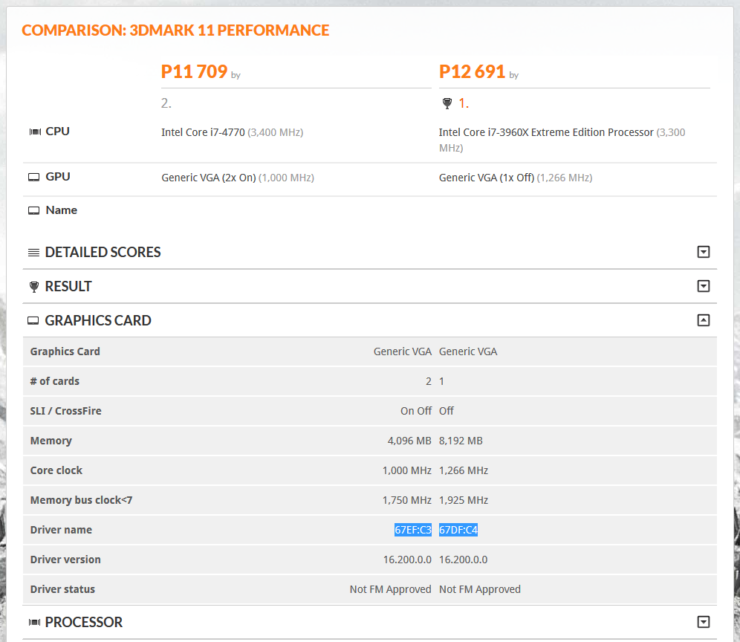 All the benchmarks given below were conducted with a core clock of 1000 Mhz, if the final product has a higher core clock then performance will improve significantly. You are looking at exactly 16 CUs worth of power here – which if we follow the conventional ratios of GCN – equates to exactly 1024 Stream Processors in total. The process of course is the 14nm FinFET node from GloFo/Samsung and AMD is claiming a performance per watt increase of up to 2.8x times over 28nm. 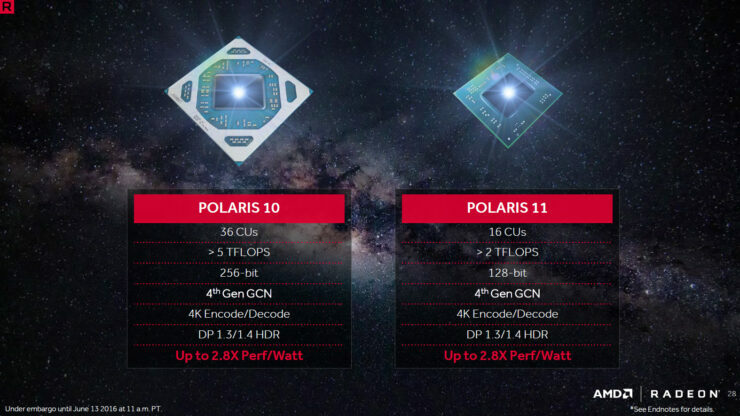 If you are a budget gamer, then you probably don’t have a very good PSU either, which is where the low TDP requirements and power efficiency of the Polaris architecture will prove to be immensely valuable. 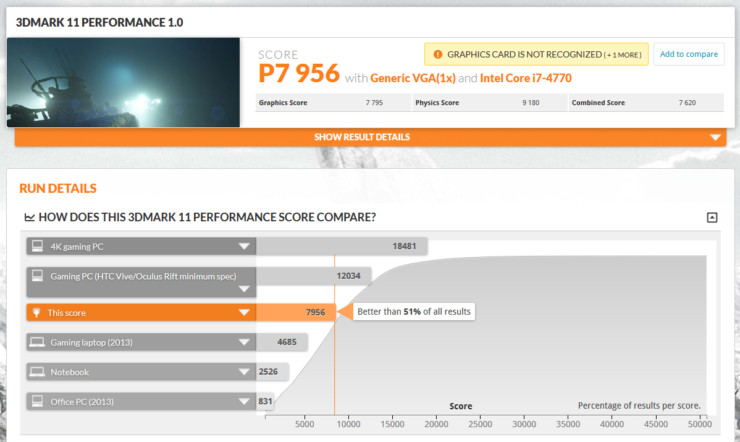 The CrossFire benchmarks are pretty interesting. Although I am not sure why anyone would want to put a couple of RX 460s in CrossFire (just get an RX 470), if we were to assume that there is a hold up and to save everyone you need to put these bad boys in a dual CF configuration – then you would net the performance of one RX 470 almost exactly. 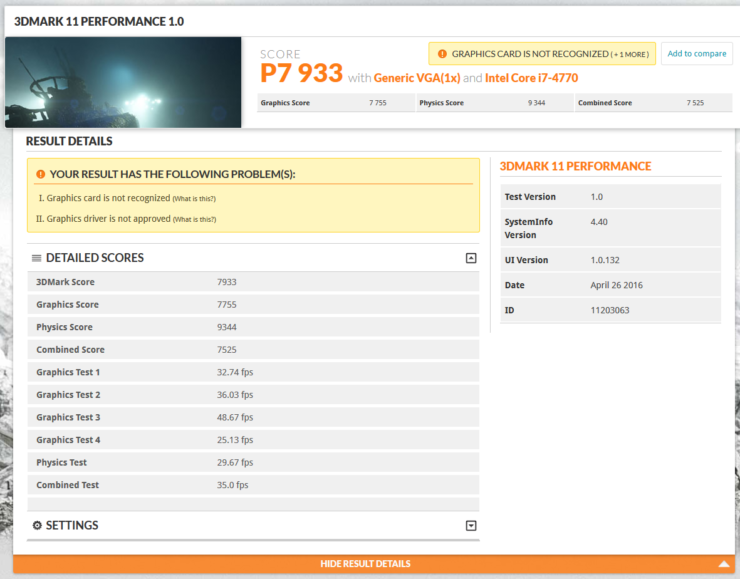 Two RX 460s are able to score a graphics score of 13296 which is enough to land it the minimum VR spec by the way. We don’t have any idea of what the price point of the RX 460 is going to be like, but considering that the there is one price point in between the RX 480 and it, anywhere between $99 to $149 is fair game. Although it would probably be much closer to the $99 mark then the $149 mark in all probability. The RX 460 will be fully DirectX 12 capable and feature a tiny cooler. It will almost certainly not require any external power connectors and will run from power through the PCIe (max power draw of 75 Watts). Memory Speed 8 GHz 7 GHz 7 GHz?